For many current high school athletes, their dream is to participate in college athletics. That dream can become a reality, like it did for many former VB student athletes. Last year many Van Buren seniors made the commitment to play sports at the collegiate level. Several alumni had their college debut last fall, some even saw playing time as freshmen and enjoyed post-season tournament success. Through college sports these former Black Knights experienced hardships, friendships, and championships. Ryan Adolph, former varsity quarterback for the Black Knights, committed to the Division II Ohio Dominican Panthers football team after high school. ODU went 10-1, won the school’s first GLIAC championship and ranked 12th in the final AFCA poll. 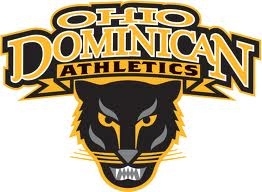 Their coach, Bill Conley, was named the “AFCA region coach of the year” and at one point in the season ODU had the longest winning streak in Division II with 15 straight wins. All of this success did not come without hard work in the off-season. Adolph went through lifting and agility workouts throughout the weeks leading up to football season and he also had full-pad practices in the spring. “It’s a huge commitment,” Adolph said. He said that it is all about managing your time because a lot of time is spent in practice, workouts, meetings, and film. “To play in college you have to be willing to make sacrifices,” he continued. The biggest difference from high school to college, for Adolph, was the competition, the mental effort required, and the coaches. Along with these changes came a bigger team, Adolph had about 100 teammates, which was twice the size of Van Buren’s football team, and he found it difficult to create close bonds with each of them like he was able to do in high school. Despite this, Adolph found that overall everyone got along and came together to make a successful program. Matt DeVore, former VB football player, took his talents to Defiance College after high school and is majoring in wellness and corporate fitness. His Division III team finished the season with a 3-7 record. Being the youngest on the team and having the roles reversed, from being a leader on his high school team to becoming the “baby brother” of his college team was what took Devore by surprise the most. “In high school I was considered a go-to guy and also carried a heavy role on the team but it’s different when you come to college and all you are is just a small piece of the puzzle,” Devore explained. Another huge difference for Devore was the bond between teammates. He said that the bond isn’t as meaningful in college as high school because he hasn’t grown up with the guys. Austin Bisbee and Brady Lucas, former Van Buren football players, tag-teamed on committing to Bluffton University and joining the football team there. These roommates were part of a Division III college team that is a member of the Heartland Collegiate Athletic Conference which is the same league their former teammate Matt DeVore competed in last season. Lucas, Bisbee and the rest of the Beavers ended their football season with a 4-6 record. It was an adjustment for them, though, in the realm of the roles they play for the Beavers. “I was a starter for the varsity team in high school, and now I am playing scout team and playing JV. It’s a hard transition to make,” explained Lucas. Bisbee added that at some points he started to feel helpless in a way because he wasn’t out on the field having an impact on the outcome of the game. However, that didn’t stop them from working hard throughout the season, and Bisbee ended up started the last three games of the year! Kristen Tropf, former Van Buren soccer captain, varsity basketball player, and State track qualifier, had an impressive college debut for the Division III Bluffton Beavers’ women’s soccer team. The Bluffton girls went 5-10 on the season. Tropf was the leading scorer for Bluffton with nine goals putting her name in the Bluffton record book at number 10 for most season goals and number 16 in most career goals. Tropf was hesitant to join the team at first because she felt burnt out from participating in her year-round high school sports, but eventually it became the best decision of her life to play college soccer. “I have some of the most amazing friends and love how close and comfortable I fit in at school,” Tropf explained. Soccer was not the only thing keeping Tropf busy as she had a job on campus to make extra cash, but still found plenty of time to study for her dietetics classes. Kayla Sonnenberg, former Van Buren outside midfielder and NCOSA player of the year, also joined her college’s soccer team. The Division II Tiffin University Dragons’ women’s soccer team finished with a record of 4-12-1 this year. Sonnenberg played outside defender for Tiffin and currently majors in business. She talked about how there really wasn’t an off-season for college sports. “Once games finish conditioning, lifting, and practices all start back up.” It also continues into breaks and summer. Sonnenberg is the kind of girl that likes to challenge herself, so she takes pride in playing at the next level and doesn’t mind the extra workouts. The competition, the bond between teammates, and the commitment to the sport is different from the high school experience; however, she said that she loved college soccer and can’t wait for next season! Sarah Benson, Van Buren track record-holder, took her State-level speed to Hillsdale College in Michigan. This Division II college is a part of the GLIAC conference and Benson has already set four records during testing week (vertical jump, 30-meter sprint, 60-meter sprint, and standing triple jump). Benson started her indoor season as a Charger at the University of Findlay where she took 4th in the 60-meter dash and will be back at Findlay Jan. 17. Benson is majoring in pre-med, and finds that running in college is like a part-time job because she dedicates 20 hours a week to practice and rehabilitation. Another adjustment Benson had to make was her role on the team. At the next level, she competes in two or three events, compared to her rigorous four event schedule in high school, and gets to really focus on technique and improving her marks in those events. The biggest struggle competing at the next level for Benson is knowing there is a lot more competition and that she is at the bottom of the experience food chain as a freshman. On top of that, Benson is also training to be a hurdler and working to quickly improve to the level she should be at as a collegiate hurdler. These former Van Buren student athletes took their talents to the next level and faced many challenges, but also gained a lot of success in their first year as collegiate athletes. Wherever their next adventure leads them, they will always have the support of the Van Buren community. Good luck Van Buren Alumni!